SIDNEY — The Easter bunny will be hiding colorful eggs all over the place soon as churches and civic organizations entertain children for the season. • Sidney-Shelby County YMCA, 300 E. Parkwood St., will host an Easter egg dive from noon to 12:30 p.m. for children 3 to 5; 1 to 1:30 p.m. for children 5 to 7; 2 to 2:30 p.m. for children 7 to 10 who aren’t good swimmers; and 2:30 to 3 p.m. for children 7 to 10 who are good swimmers. A parent must accompany each child in the water. Fee: $7 per child YMCA member; $10 per child nonYMCA member. There is no charge for parents. Advance registration is recommended but not required at 937-492-9134. • Lockington Fire Department will host an egg hunt at 1 p.m. at Lockington Park. For more information contact Chief Jon Adams, 937-606-0919. Raindate will be April 20. • Fort Loramie Community Fire Co. will hide eggs to be discovered in the village of Fort Loramie Youth Park at 1 p.m. Children in preschool through third grade are welcome to gather eggs. Prizes will be awarded in each of four age groups by grade. • Church of the Nazarene, 1899 Wapakoneta Ave., Sidney, will hide 5,000 candy-filled eggs for children in fifth grade and younger to find at 10 a.m.
• Hardin United Methodist Church, 6073 Hardin-Wapakoneta Road, Hardin, will welcome children 2 to 11 at 10 a.m. to look for candy-filled eggs and prizes in groups by age: prekindergarten to first grade; second and third grades; and fourth and fifth grades. The eggs will be hidden in the Crossroads, across the street from the church. • Sidney Alive hosts an Easter egg hunt on the courtsquare in downtown Sidney at 11 a.m. for children 1 to 11. 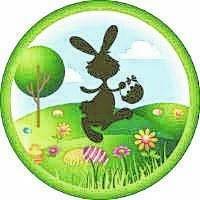 • The village of New Bremen and the New Bremen New Knoxville Rotary Club’s annual egg hunt will be in Jaycee Park, southeast of Crown Pavilion in downtown New Bremen at 1 p.m. Children in the sixth grade and younger are invited. The hunt will be in the junior high school if it rains. • The Anna Civic Association and the Anna Branch Library will hide eggs in the library at 304 N. Second St., Anna. There will be a golden prize egg in each of four age groups: 2 and under; 3 to 4; 5 to 6; 7 and older. The hunt begins at 1 p.m.
• The village of Botkins opens a hunt at 2:30 p.m. for thousands of eggs filled with candy and tickets for a raffle of girls’ and boys’ bicycles. The event will be in Botkins Community Park, north of 500 E. State St., behind the Shell station. Bikes will be raffled in each of three age groups: 0 to 4; 5 to 7; and 8 to 12. • The Osgood American Legion egg hunt is for children in preschool through third grade. It will take place at 1 p.m. in the legion hall, 228 North St., Osgood. • Sidney First United Methodist Church hosts the area’s largest egg hunt at Sidney High School, 1215 Campbell Road, at about noon, immediately following an 11 a.m. service open to the public at the high school. Children up to sixth grade will scramble after 15,000 eggs scattered on the high school lawn. • World Missions for Christ, 231 Doering St., Sidney, will have an egg hunt for children up to 12 at about 11 a.m., following a service at 10 a.m. In addition to searching for eggs, each child will receive a treat bag.